An artist’s impression of the new extension to the St Vincent de Paul residential home for the elderly. 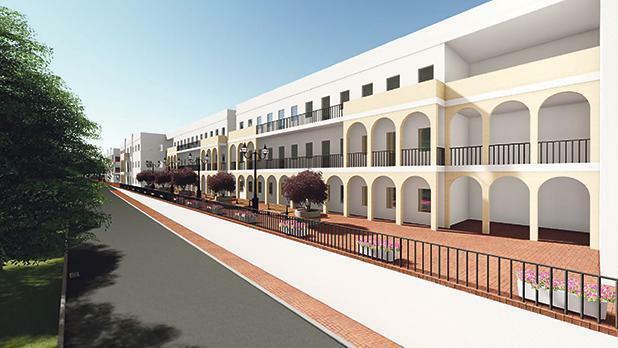 A judicial protest calling for the publication of the controversial 500-bed extension contract at St Vincent De Paul has been filed by Partit Demokratiku leader Godfrey Farrugia. The protest concerns a €60 million tender, issued for the provision of meals and the building of a new kitchen at the facility, which was later morphed into a 500-bed fully fledged extension. Although the contract said that any additional investment had to come at “no additional cost to the contracting authority”, the government agreed to pay €274 million for various services associated directly with the new extension over a period of years, the protest noted. The contract was awarded to James Caterers and Malta Healthcare – a subsidiary of the Seabank db Group. Filed against Family Minister Michael Falzon, Active Aging Parliamentary Secretary Anthony Agius Decelis, Finance Minister Edward Scicluna, director of contracts Anthony Cachia and the Attorney General, the protest claims serious breaches of EU public procurement rules in the way the tender was handled and negotiated. It states that after allocating the tender to the winning consortium, the government entered into new negotiations with James Cateres and the db subsidiary, in which the nature and scope of the tender was changed and a direct order for €274 million was issued five days after the final contract was signed. Dr Farrugia and the Democratic Party claimed that although the Finance Minister had said that an internal investigation on the way the tender was administered had been carried out by his ministry, its conclusions had not been tabled in Parliament in spite of a request. In a statement, PD said it was its duty to ensure transparency and the observation of public procurement rules. It said it had to take action as the Nationalist Opposition had not officially denounced the irregularities. “The goings-on at St Vincent De Paul seem to indicate further pro-shady business, more so since it has been revealed that a monthly €300,000 contract has been awarded to a cleaning company, X-Clean Ltd, via another direct order,” the PD said.